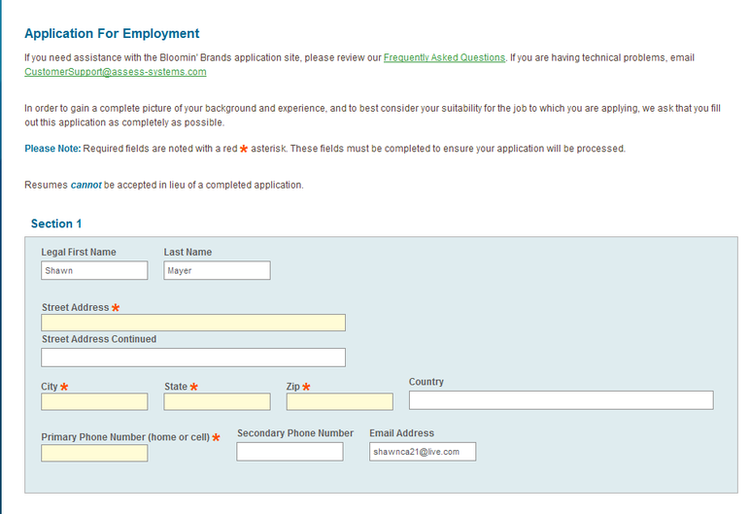 Open the site and scroll down to find out what kind of job you want to apply. There are hourly, corporate office and management positions waiting for your click. All sites requires new users to register. 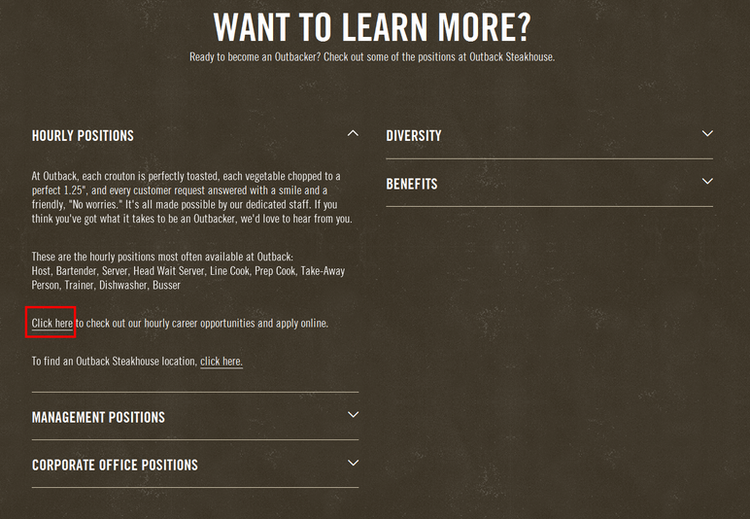 So does Outback Steakhouse. 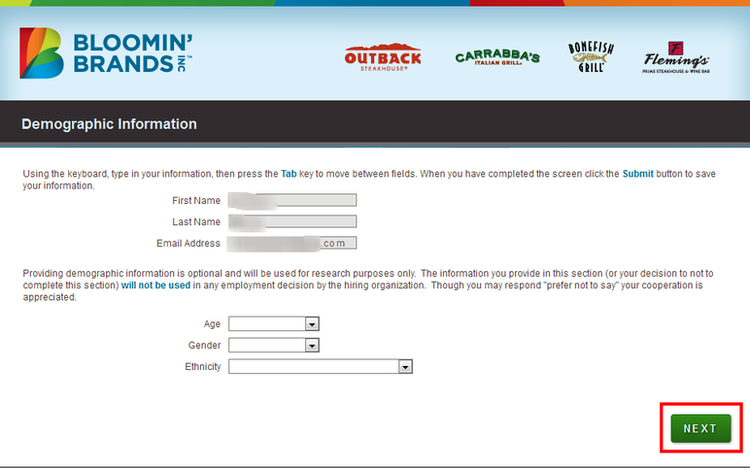 Outback Steakhouse is one of Bloomin’ s sub brands , that’s the reason that you need to register on Bloomin’s site. Tip: take down the given password on your note book. First ascertain your position type, then to locate. Type the five-digit restaurant number of the store to go on. These are normal pre-employment question, answer them according to your real circumstances. 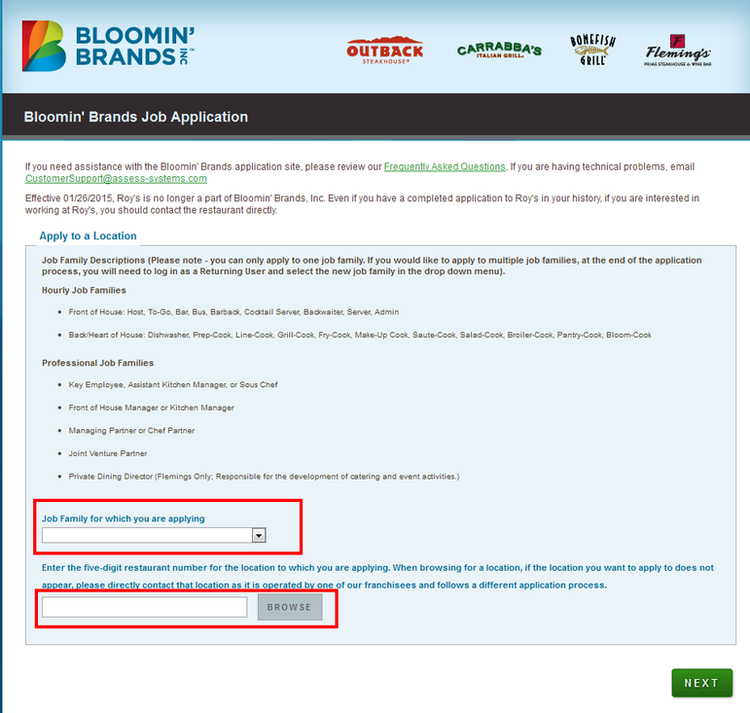 The form includes all the information you need to provide during your application, fill all the yellow boxes and the blank marked with red asterisk. Tip: skip some white box if you regards it as unnecessary, you don’t have to fill every box, although it’s better to do that. You need at least two references in this form, get their information as soon as possible. Here is a easier part, demographic information, finish these question choices and other steps to complete your application. 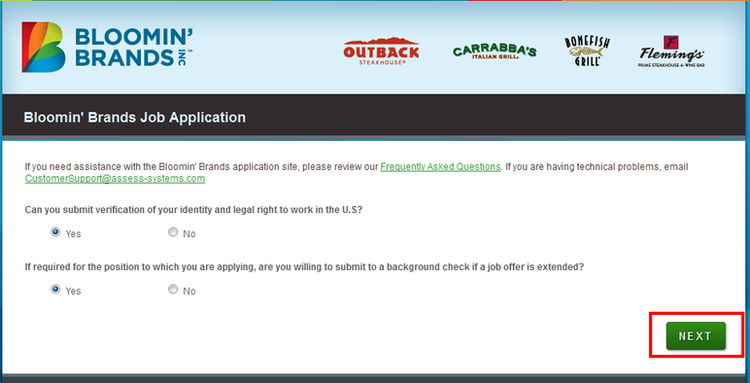 Click outback.com/careers to apply for Outback Steakhouse jobs online.